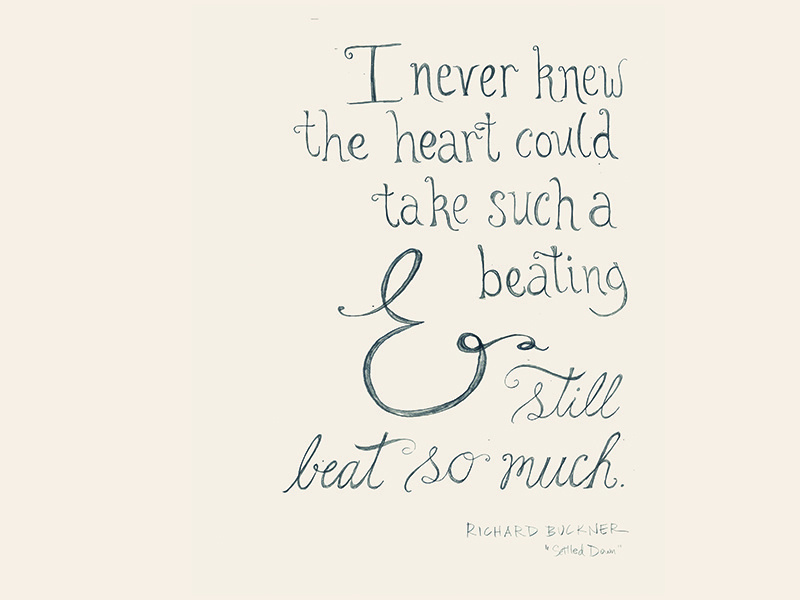 Hand-lettering of a lyric from the Richard Buckner song "Settled Down." "I never knew the heart could take such a beating and still beat so much." From the album "Bloomed"